When the New Jersey Division of Gaming Enforcement suspended PokerStars’ online gaming license application, it appeared that all hopes for a partnership between the world’s biggest poker site and the Resorts Casino Hotel were lost, at least for the duration of the suspension. PokerStars finally looked defeated in Atlantic City, while Resorts pushed forward with other Internet gambling partners. But the $4.9 billion purchase of the Rational Group by the Amaya Gaming Group has had many effects that ripple throughout the poker world, and one of the biggest waves is being felt in New Jersey. The partnership that Resorts and PokerStars agreed to last summer is still in effect, and now that Amaya is set to take over leadership of the poker site, Resorts feels confident that PokerStars will be a part of the state’s online gaming landscape in the near future. This depends heavily, of course, on the Division of Gaming Enforcement (DGE) being satisfied in PokerStars’ change in leadership. But the early signs are promising on this front, and that’s consistent with what New Jersey officials have been saying all along. In December, the DGE made the decision to suspend its review of PokerStars’ license application. But it did so in a way that left open the possibility of returning to the issue later should things change. “The Division, within [the two year suspension period], may consider a request for relief to reactivate the application if significantly changed circumstances are demonstrated at which time the Division’s investigation of PokerStars and its affiliated entities and associated individuals will be resumed to assess suitability,” the DGE wrote in a statement at the time. It seemed clear that new leadership was one of the major factors the DGE would be looking for, as founded Isai Scheinberg was still under federal indictment. But with the Scheinbergs out and Amaya in, it looks like division officials are ready to give PokerStars another chance. “We’ve had discussions with Amaya to reactivate the application, and we plan to begin discussions with them tomorrow,” Division head David Rebuck said last week. And according to a report by the Press of Atlantic City, Rebuck believes approval could come for PokerStars by the fall. That would suit Resorts just fine. 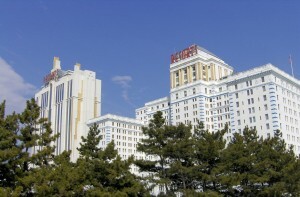 In the absence of a PokerStars license, Resorts had to push back their plans to open an online casino in New Jersey. They’ve since partnered with European firms NYX Gaming and Sportech to provide games, and expect to have a site ready to launch early next year. Adding the PokerStars and Full Tilt Poker brands to that offering, however, could turn it from a niche site to a serious player in the New Jersey market. “This is an exciting era of gaming in New Jersey, and we are confident it will be another positive stepping stone in Resorts’ storied history,” Bailey said.